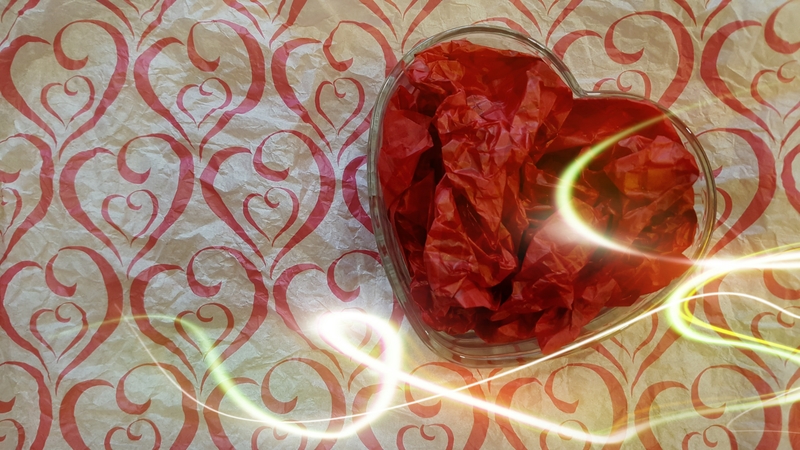 As I poured over the pile of romantic comedies in the gift box, my honey uttered those four little words I was dying to hear. “Watch one with me?” he asked. I held one of my favorite titles that he’d refused to watch whenever I’d suggested it. “Even this one?” I teased. He shrugged as if to reassure me it was a non-issue. Check out my other giveaway! “Okay,” I mumbled, shaking my head. The guy hated shopping but he’d trekked to the video store, scanned titles and picked ones I liked best, then stood in line and paid for them. He could’ve passed over those two titles he abhorred, but he hadn’t. And I’d thought that after twenty-five years together, he couldn’t surprise me anymore. Slowly, I slid my selected DVD into the player. “Ready?” My honey handed me a glass of Malbec. “No, it won’t.” I agreed, and handed over the remote—a symbol of power in our household. Yeah, love can be funny that way. 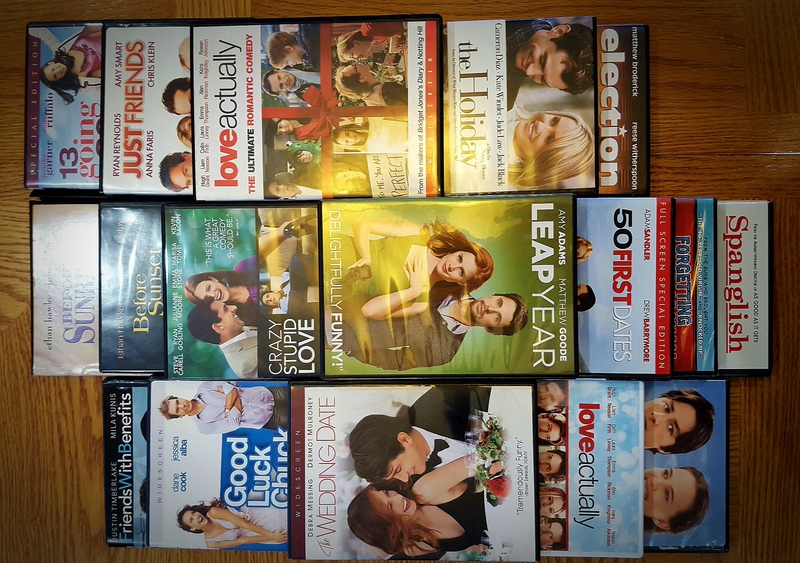 When Harry Met Sally, You’ve Got Mail, French Kiss, The Holiday, Love Actually, Before Sunset, Before Sunrise, Wedding Date, Thirteen Going on Thirty, Just Like Heaven, Maid in Manhattan, Overboard, Roxanne, Sleepless in Seattle, Hope Floats, While You Were Sleeping, The Wedding Singer, The Ugly Truth, Enchanted, The Proposal, Definitely Maybe, Made of Honor, How to Lose a Guy in Ten Days, Sweet Home Alabama, and Leap Year. 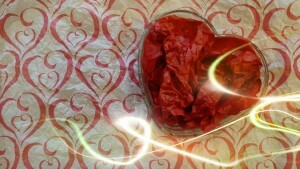 February fourteenth, the holiday of love, anticipated by some, ridiculed by others. In America, heart displays are featured in the malls and in jewelry commercials with cuddly teddy bears and rose bouquets. People often remark that we should be as generous and giving like we are on December 25th. I agree and feel the same way about Valentine’s Day. Shouldn’t we appreciate our loved ones every day? Exhausting, you say? Unreasonable? Perhaps, but as a gal still crazy in love after more years than I could have ever imagined, I believe it’s worth the effort. What are the keys to forever love? I don’t know for certain. Marrying our best friend, learning to laugh at ourselves, growing close in good times, and holding each other closer during bad, never forgetting why we fell in love…that has worked for us. Rylie and I recently saw THAT AWKWARD MOMENT with Zac Efron and cast. We liked it- a lot. 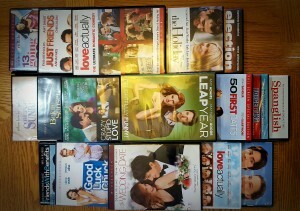 I’m a huge fan of romantic comedies as well as witty, off-beat (sometimes raunchy) dialogue/humor. This wasn’t your typical romantic comedy. It focused on three guys and their relationship issues. Still, I was satisfied with how their characters evolved, and I loved, loved the ending. I really like when a story comes full circle and ties together with a beautiful, metaphorical red ribbon. So…you can imagine my surprise when I saw all the poor reviews for this movie. I’m curious. Have you seen THAT AWKWARD MOMENT? Did you hate it and regret spending money on it, or did you enjoy it for the elements that made you laugh out loud and the dark moment that left you with a tear in your eye and a lump in the throat? Fools Rush In, the 1997 romantic comedy starring Selma Hayek and Matthew Perry, is a story about opposites attracting and finding true love in spite of all their differences. The heroine’s belief in signs plays a pivotal role in bringing the two lovers together for their happily-ever-after. I like that because I believe in signs too. 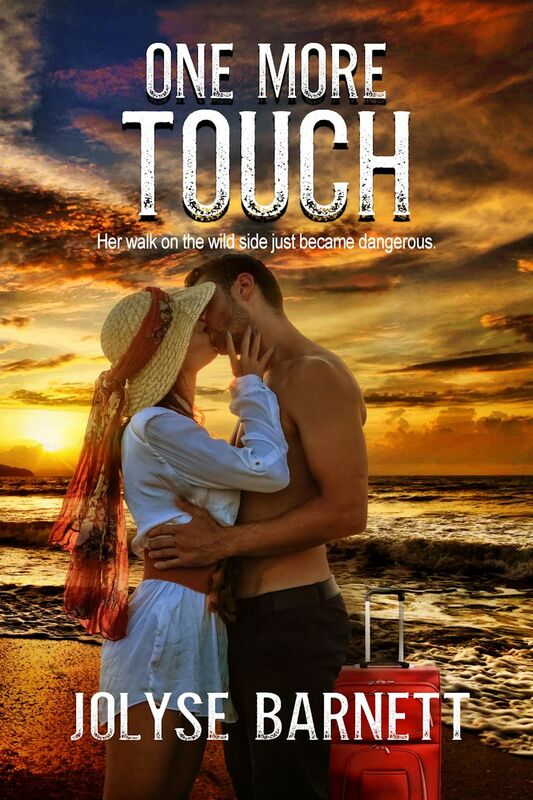 On our recent Key West getaway to celebrate our twenty-fifth anniversary, my honey and I arrived at our favorite B&B to learn I had an offer of contract for my romantic suspense novel. That story is set in Key West. We went into full celebration mode, biking, swimming, fishing, and dining at five-star restaurants. On the last night, we embarked on the Jolly Rover II, an eighty-foot tall ship known as a schooner–built in the same style as turn-of-the-century pirate ships. The friendly crew taught us the history of the ship as we soaked in the view. Howie Livingston? I’d say yes. We were thrilled. You see, not only did we know and love the song, but I’d created a YouTube video for this blog using it a few years ago. We listened as we sipped our favorite wine and enjoyed one more sunset before returning to our Long Island home. By the way, if you like your signs in sets of three, this story won’t disappoint. 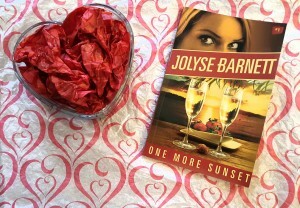 The current title of my novel happens to be One More Sunset. Some say there is no such thing as coincidence, while others say signs are only a person’s wishful thinking, attaching meaning to a random event. What do you think? I hate cold weather, but these photos of frozen bubbles are utterly breathtaking. Hey. You guys made me ink. I didn’t come this far to be breakfast. Well, you can’t never let anything happen to him. Then nothing would ever happen to him. Not much fun for little Harpo. When the northeastern United States was hit by Snowstorm Nemo this past Friday, the last quote seemed especially fitting to many. Life often gives us no choice other than to plod forward through the tough times. Builds character, right? Two of our vehicles, wipers up. I grew up in the Adirondacks, so I’m not frightened by a little snow, or even a lot, but I have to admit the commute home in white-out conditions ranked as one of my more harrowing experiences as a driver. Once home, howevever, I was able to enjoy nature’s beauty. Old Man Winter and Jack Frost had painted everything white. My favorite image, though, was the sight of my neighbor’s flags flying proudly. Don’t let the storms in life get you down, there are always blessings and signs of hope ahead. Hang in there! Spring is around the corner, and you will enjoy it even more for having weathered the difficult days. How has your winter been? If you live in the north, what are you looking forward to most when warm weather returns? What’s your favorite Finding Nemo line, and why? Ever have days where you didn’t want to get out of bed, you just wanted to sleep until the bad stuff went away? Ever have days when you thought you couldn’t bear to face the world, put on a brave face, and go through your normal routine? I know you have. Everyone has stuff to deal with that gets them down now and again. This friend knew, without me telling her, that I was at my wit’s end. She knew, without me telling her, that I needed someone to talk to, but I didn’t want to share my burden. She insisted we go out to lunch, get away from everything, and talk. Poor thing didn’t know what she was in for, because as soon as we got in her car that afternoon, I spilled. Everything. Then she shared such simple, yet profound advice I knew I’d have to share it with you: Don’t project. These two words gave me hope that I will be the person I need and want to be for my family, and for me. Now, you may have heard about the importance of not projecting your feelings or problems onto others, but apparently this phrase means something else entirely. It’s more along the lines of Carpe Diem, or Live for Today. If you are a regular reader of Margaria Moments, you know I’m a huge believer in taking time out of your hectic schedule to enjoy a moment for yourself. Seems so simple, doesn’t it? It is, and it isn’t. When the Big Bad Stuff has you scared out of your mind about your financial security, or a loved one’s health, or your child’s safety, you can easily go down the Path of Negativity. Don’t do it. Don’t go there. Take it one moment, one day at a time. In other words, don’t project. Don’t worry about the what-ifs in your future. I’m famous, or infamous perhaps, for always saying, “Anything can happen to anyone at any time. Enjoy and treasure everyone in your life.” Now, I’m not saying to ignore planning for the future with a sound retirement strategy, or forego researching a medical diagnosis needing treatment, or not ensuring your child has the best caregivers and education available. What I’m saying is plan for the areas of your life you can control, and do your damnedest not to worry about what you can’t. Live for today. Each day. Be the best person you can be, make the best decisions you can with the knowledge you have, and be present–in your life and that of your loved ones. Since that lunch conversation, my home life has been more peaceful and joyful than it has in many weeks. I hadn’t realized how much my anxiety was affecting my family, how it took me away from them emotionally. I’m so grateful for the change, and grateful that someone took the time to reach out to me in my time of need. I only hope to be the positive difference for others as this friend was for me. If you haven’t seen this movie yet, or it’s been awhile, it’s a great holiday flick to watch with your girlfriends or for an at-home date night. Wishing you a happy holiday season, and hoping you’ll stop by next Monday for a Key West post. What are you thankful for or how has another person’s kindness changed your outlook on life? The Roller Coaster or Merry-Go-Round? Prior to having kids, my husband and I watched a movie called Parenthood. This 1989 film produced by Ron Howard was billed as a comedy, yet portrayed the reality of family life as well as any drama I’ve ever seen. Which brings me to today’s Moment. [Gil has been complaining about his complicated life; Grandma wanders into the room] Grandma: You know, when I was nineteen, Grandpa took me on a roller coaster. Gil: Oh? Grandma: Up, down, up, down. Oh, what a ride! Gil: What a great story. Grandma: I always wanted to go again. You know, it was just so interesting to me that a ride could make me so frightened, so scared, so sick, so excited, and so thrilled all together! Some didn’t like it. They went on the merry-go-round. That just goes around. Nothing. I like the roller coaster. You get more out of it. I like the merry-go-round. It’s pleasant, safe, and predictable. When our daughter was little, we’d take her on the one at Disney’s Magic Kingdom and she would smile and wave each time she passed by. Life was good. Life was simple. Routine is our merry-go-round. We get up, send the kids off to school, do our work, the kids return home for dinner, we help with homework, watch tv, and go to bed. Then we do it all over again the next day. I enjoy routine; I like doing laundry and keeping to a schedule. Our son, being on the autism spectrum, craves routine–although it often constrains him (and us). There’s something to be said for breaking out of the ordinary and taking a risk. It keeps us fresh, ready for anything life swings at us. It clears the cobwebs from our brains and exercises our imagination. Our son’s first roller coaster ride! Our daughter graduated from the merry-go-round and was a roller coaster pro by the time her brother was born. Life for my family changed drastically with his autism diagnosis. Five years and hundreds of ABA therapy hours later, we took a family outing to an amusement park. This was a big deal, driving hours away from home and everything familiar. We had prepared our son with photos and talks about what to expect at Sesame Place, and he knew he was going to see Elmo, his favorite character, but it could go either way. New experiences often triggered extreme anxiety for him and tantrums could ensue. Luckily, the morning at the park was a huge success. He enjoyed it all–the water rides, the characters, the shows, the food, and the shops. Then we saw the kiddie roller coaster. How I wanted my son to share our love of thrill rides! Should we push our luck? Heck, yeah. How would we know if he liked it if we never tried? We waited with bated breath to learn if our second-born would relish or fear what the rest of us in the family adored. By the second dip of the tiny coaster, his eyes lit up and he wore a grin the size of his face. Since that magical day, we’ve enjoyed the mega coasters at Great Adventure in New Jersey and those at Disney World and Universal as a family. We even brave the Tower of Terror at MGM Disney in Orlando on occasion. I’ve witnessed a positive change in our son after each of these adventures. He becomes more emotionally connected and animated afterwards, the results lasting weeks or months. Other parents of children on the ASD spectrum have noted similar responses from their kids, including gains in language and learning after trips to places such as Disney. Like Gil in Parenthood, I’ve learned life has a way of shaking us silly with its unexpected twists and turns. We can learn to hold on, savor the wind as it whips through our hair, and dare to try as we plunge into the next adventure. We can choose to keep with the status quo and get satisfaction out of the little things. Or maybe, just maybe, we can embrace both, being responsible when necessary, unbridled when possible in order to grow–whether as parents or individuals. What do you think? Do you prefer the merry-go-round or roller coaster? Twenty-four years ago today, I married my true love and best friend. But our love story began long before April 9, 1988. At fifteen, I was tall, lanky, studious, and shy compared to most girls my age, yet eager to fit in despite lacking social graces. I survived adolescent crushes and ventured into dating. None of those boys, however, made me swoon like the heroes in my favorite novels. Night after night, I’d gaze into the starry darkness from my bedroom window, dreaming of the perfect romance. The Michael Buble song, I Just Haven’t Met You Yet, reminds me of that yearning optimism I had as a teen. I met my future husband autumn of ’83. He was a very confident, handsome guy with a great sense of humor, a potent combination as far as I was concerned. We hung in the same circles and kept bumping into each other, although I focused on my studies and dating guys I felt were more in my league. My future husband and I had a playful, friendly relationship, but it didn’t go any further than that. Until months later, he stole a kiss. I began to suspect he was the one, but I didn’t want to believe it. At that point I had a love interest back home and figured he did too. Sophomore year of college, he’d walk me home Saturday nights whenever my roommate wasn’t available. I began to share my accomplishments and sorrows with him. He offered emotional support after my breakup with a boy back home. We talked about our childhoods, our aspirations, our religious beliefs, just about everything. We’d become best friends. Then he ruined everything by asking me out on a date. I had to refuse. What if things didn’t work out? Luckily for our love story, he wasn’t easily dissuaded. He brought me flowers. He asked me to a movie. He courted me. And we lived happily ever after. Twenty seven years after our first date, we’re still best friends, and we’re still crazy in love with each other. Happy anniversary, sweetheart. That’s our love story. What’s yours? When I first wrote about Once Upon A Time a few months ago, I had such high hopes for this tv series. I’m thrilled to report that, seven episodes later, I have enjoyed every one, from the story of Jiminy Cricket, to Hansel and Gretel, to the paranormal Little Red Riding Hood. Subtle clues are woven into each episode about a variety of fairy tale characters’ lives and the overall story arc built around Snow White vs. The Evil Queen. As detestable as Rumplestilskin/Mr. Gold can be, he’s one of the most fascinating characters, a credit to Robert Carlisle and the show’s quality writing. Exciting, too, is the arrival of a writer to Storybrooke, the only person other than Emma’s son to believe a book of fairy tales may be more than a bunch of stories. Perhaps that writer will turn out to be her love interest. Emma has been through so much in her life. Doesn’t she deserve a fairy tale ending? With the March 18th episode, we’re drawn back into the central drama of Mary Margaret (Snow White) and David (Prince Charming), after David’s so-called wife Catherine has gone missing. Of course, the audience knows Mayor Regina (The Evil Queen) is behind Catherine’s disappearance, and that’s confirmed with the gruesome discovery of Catherine’s heart in a box. Yes, the Evil Queen has quite the MO. Anyway, Mary Margaret is framed for Catherine’s murder, and the only one who believes in her innocence is Emma, the sheriff who has no choice but to charge and arrest her friend. Yes, you read that last sentence correctly. What are some of your favorite tv show or movie lines? Winter has arrived, a perfect opportunity for indoor escapes. One of my favorite ways to relax and recharge is to cuddle up on the couch in my cozy pj’s, a hot beverage in one hand and the TV remote in the other. My old stand-bys include HGTV’s House Hunters International, Food Network shows, and NCIS. A new series, however, debuted on ABC in October which piqued my interest. It promised a new spin on the classic fairy tales. I had every intention of watching it, but then life got a little hectic and I had to hold off on this guilty pleasure. From the inventive minds of Lost executive producers Adam Horowitz and Edward Kitsis comes a bold new imagining…Emma Swan knows how to take care of herself. She’s a 28-year-old bail bonds collector who’s been on her own ever since she was abandoned as a baby. But when the son she gave up years ago finds her, everything starts to change. Henry is now 10 years old and in desperate need of Emma’s help. He believes that Emma actually comes from an alternate world and is Snow White and Prince Charming’s missing daughter. According to his book of fairytales, they sent her away to protect her from the Evil Queen’s curse…Of course Emma doesn’t believe a word, but she soon suspects that Storybrooke is more than it seems. The epic battle for the future of all worlds is beginning, but for good to win, Emma will have to accept her destiny and fight like hell. As my husband watched the Giants-Cowboys game, I watched the pilot and two subsequent episodes yesterday, and I’m unashamed to say I’m now hooked. It’s gritty at times, but not gory. For some, the show may bring to mind fractured fairy tales such as The True Story of The Three Little Pigs. A majority of the show’s cast and setting is beautiful, just as in a classic fairy tale, and is interspersed with evil deeds and evil doers. There are trolls, leprechauns, the Three Fates, wolves, and unicorns. Overall, the scenes are quick-paced, and seamlessly weave present-day Storybrooke, Maine, with the fairy tale realm. Sometimes there’s a little too-much plot information in the dialogue, but is forgivable. If you like the Harry Potter series, with its magical creatures, good vs. evil, and fantasy merging with reality, you may very well like ONCE UPON A TIME for your own mini-escape in 2012. Like J.K. Rowling’s Harry Potter, this series reveals more sinister forces as it progresses. I haven’t seen the seventh episode yet, but apparently a major character will be killed off. This modern fable has aired seven shows to date. Internet is wonderful, because you no longer have to wait for re-runs to see missed episodes and you can watch them back-to-back. Click here to get started, if you’re interested. Don’t forget to return here to give me your take on it, good or bad. All comments are welcome. As people have different tastes, I’m interested in hearing about yours. Please share. What are your favorite tv shows? What is it about them that keeps you coming back for more? Big dreams require big risks. Sometimes the greatest risk is overcoming your own fears. That’s the way it is with me and flying in small planes. In a recent post, I shared my excitement about escaping to Key West a few weeks ago for a romantic getaway. My husband and I had waited a long time for this vacation, and we were ready for adventure. 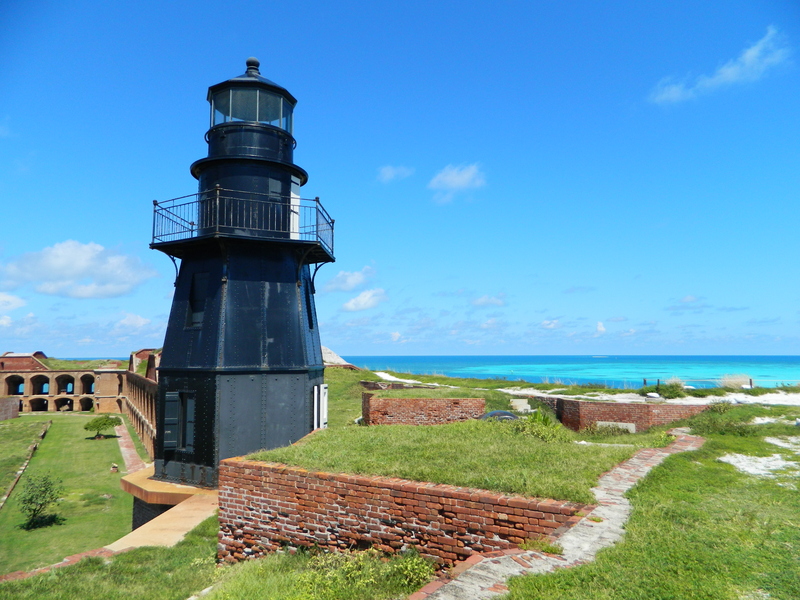 When we arrived at our favorite bed & breakfast, the topic of Dry Tortugas came up as it has the past three visits. This national estuary is a bit off the beaten path. Seventy miles west of Key West, to be exact. I get seasick, so the two-and-a-half hour ride each way on a catamaran or ferry didn’t appeal to me. Traveling there by seaplane had always been out of the question, too. This time, I surprised us both when I agreed to fly. We booked the excursion, payment in full. I prayed I wouldn’t chicken out like I had at the Las Vegas Stratosphere when I was unable to overcome my fear of heights and go on its thrill rides. I promised myself I would “just do it,” like the old Nike ad. By the time the sun rose, however, I was calm and mentally prepared for the day ahead. It helped that everyone at the airport inspired confidence. (Click on photo of me in the plane for information about Key West Seaplane Charters.) I beamed with excitement as we buckled in and outfitted ourselves with headsets. The view from our seaplane was incredible. The photos only hint at the beauty that surrounded us. The blues were bluer than I’d ever seen. 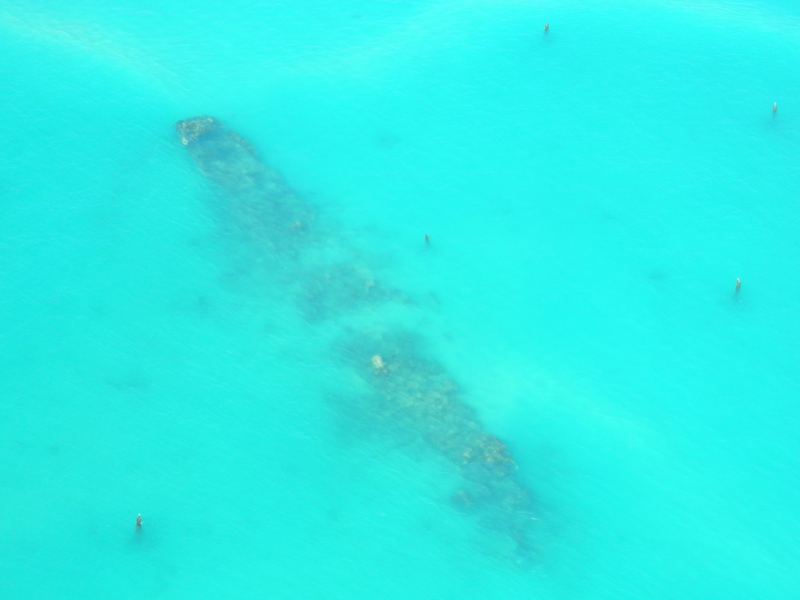 We flew low enough that we could observe sea turtles, sharks, and sting rays glide through the tropical waters. Via our headsets, the pilot told us about the sunken ships whose outlines were visible from our vantage point, the tiny islands dotting the ocean, various channels and other water features we viewed during the thirty-five minute flight. When he wasn’t talking, music themed to our flight streamed through our headsets. It was surreal, and I felt like I was in a movie–one with a happily-ever-after. Landing on water was smooth and gentle, unlike the bumpy, braking experience when landing on concrete. We literally floated backwards onto the white, sand of Dry Tortugas. Most tourists to this estuary spend a bulk of their time snorkeling the shallow waters directly off the main beach, and our planemates were thrilled at the prospect of underwater vistas. 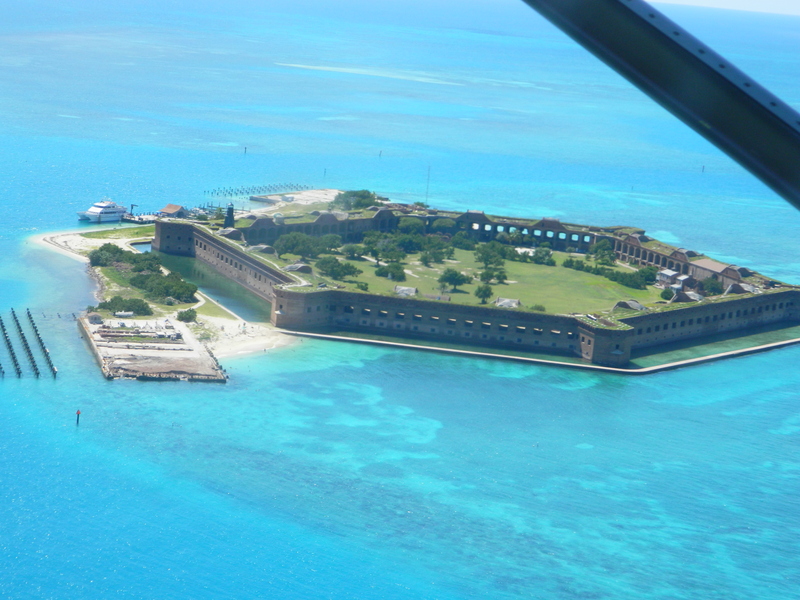 We, however, were fascinated by Fort Jefferson, and spent our visit exploring the Civil War era fort from inside and on top. I imagined the roar of cannons protecting American waters from enemy or pirate ships. We learned that Union soldiers stationed here would put on plays and to combat boredom. When we spoke to a National Park employee, she said she could never get bored. But then, she has internet and cable access, whereas those 1860’s boys didn’t. This fort, never completed, was used as a prison. That must have been torture, to be in a damp, brick cell while paradise lay right outside your window. Just look at this view! Once we had our fill of maritime lore, weaponry, romantic vistas, and stolen kisses, we strolled over to the sandy beach and waded in the warm, crystal waters off Garden Key. Like kids, we sat on the beach and examined seashells. We then walked hand-in-hand along the low, outside wall of the fort to spy a variety of tropical life at the water’s edge. I took so many photos and videos. (To see them all, visit me on Facebook!) When our seaplane arrived for the return trip to Key West, I was thankful I’d taken a risk that day. 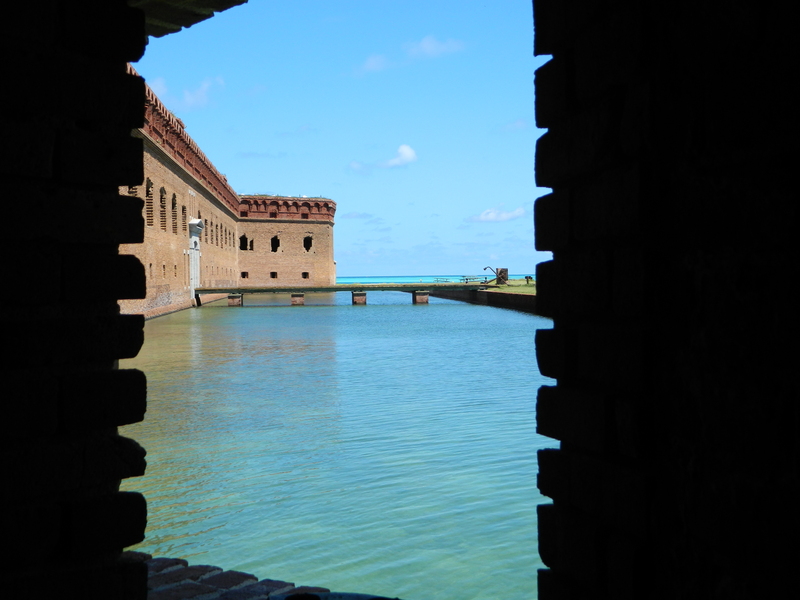 The isolated, primitive beauty of Garden Key in the Dry Tortugas was a once-in-a-lifetime experience. What risk have you taken that paid off? 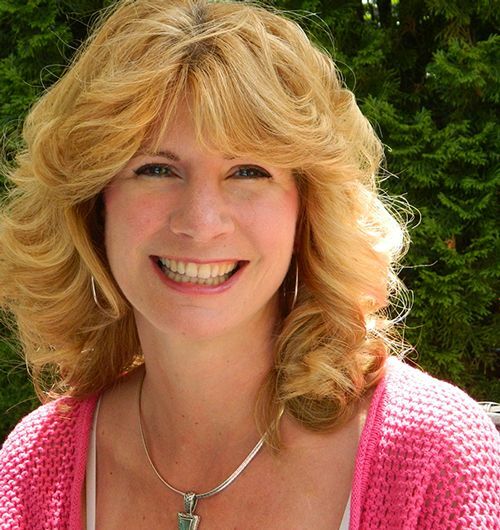 Can Romance Novels Rescue You? Designed and built by Waxcreative Design.